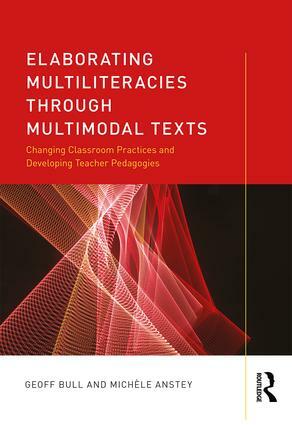 Elaborating Multiliteracies through Multimodal Texts: Changing Classroom Practices and Developing Teacher Pedagogies is the complementary volume to Foundations of Multiliteracies: Reading, Writing and Talking in the 21st Centurywhich provides a comprehensive introduction to multiliteracies, classroom talk, planning, pedagogy and practice. This second volume, embeds an action learning model, encouraging readers to explore classroom practice around multiliteracies, collect data about their pedagogy and enact change. It provides in-depth examination of the five semiotic systems, including a suggested school-wide sequence, explores reading and writing processes with multimodal texts and explains how to develop dialogic practices through talk around multimodal texts. The links between inquiry and action learning are explored in order to demonstrate how these approaches can change classroom practices and talk around multimodal texts. Graphic Outlines orient the reader to the concepts in the chapter. Reflection Strategies enable the reader to gauge their understanding of key concepts. Theory into Practice tasks enable the trialling of specific theoretical concepts in the classroom. Auditing Instruments inform assessment of student performance and evaluation of teacher pedagogy. QR codes address the multimodal and digital nature of new literacies link the reader to multimodal texts. Action Learning Tasks enable readers to investigate specific aspects of their multiliterate pedagogy, plan and implement change, based on their findings.